If you’ve been desiring to build a house like the house described in Proverbs 24:3-4, there are some practical ways to start—and they all have to do with atmosphere. An atmosphere is defined as “a pervading or surrounding influence or spirit, general mood or environment.” We live in two atmospheres—one is physical and the other is spiritual. We’re focusing on creating a godly spiritual atmosphere for your home. In Genesis 1, the earth’s atmosphere was dark and empty—that is until God spoke. It didn’t automatically take on the spiritual atmosphere of God. He had to fill the atmosphere with what He wanted to occupy that space. The same is true for us. We have a spiritual atmosphere in our homes that we can energize with the power of the Holy Spirit, or leave blank for anything or anyone to permeate. The latter is much too dangerous. If we fail to play offense, we’ll end up playing defense and wearing ourselves down with unnecessary trials. Load an MP3 player with the entire Bible. Connect it to small desktop speakers and place it in the main living space of your home. Set it to ‘repeat’ and let it run on low volume 24 hours a day, seven days a week. 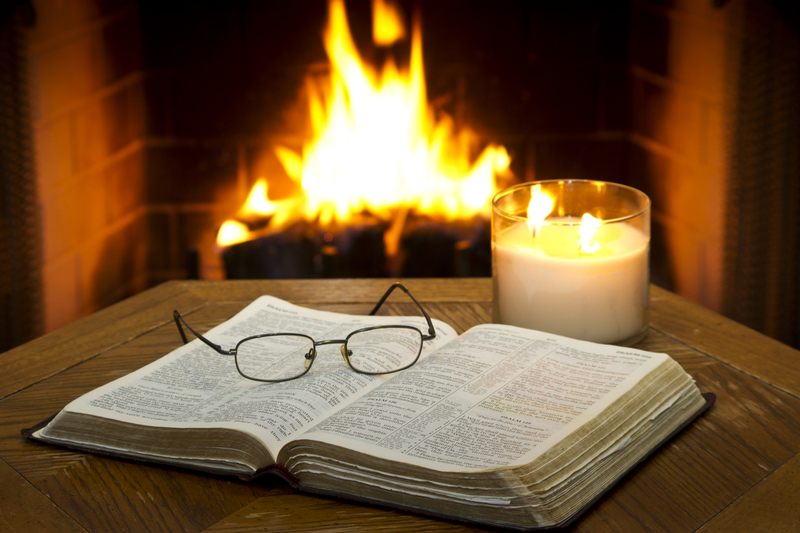 No matter where you are or what you’re doing, the Word of God is being spoken into the atmosphere of your home! Turn on the Believer’s Voice of Victory Network (BVOVN), and let it play in your home. Speak the Word of God out loud as you go about your daily tasks. In addition to these, make prayer and quiet time with the Lord a priority every day. If you’ve been facing any challenges in your home, you will see a shift in your atmosphere when you invite Him to permeate every inch of your home!